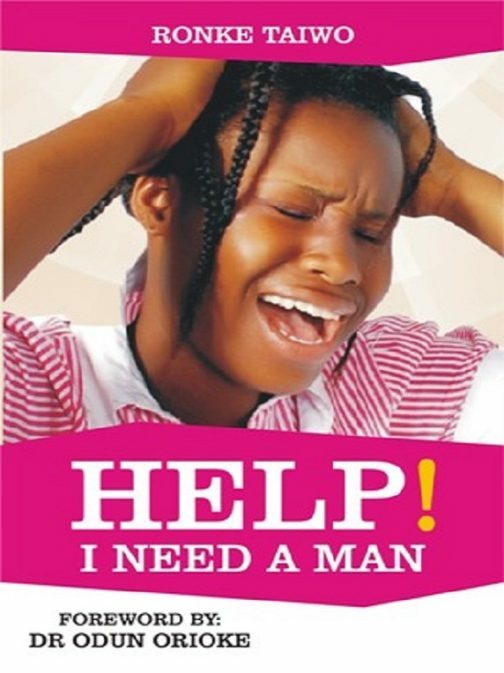 The desire to get fixed up for marriage comes earlier for ladies than for men. 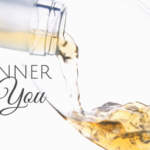 For both, the desire can become an internal pressure with time, especially when fellow peers are getting fixed up and established in marital life. 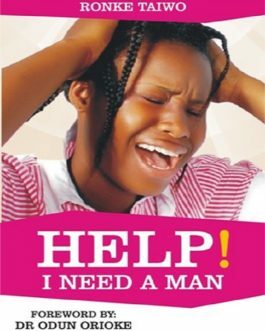 Everyone, be it a lady or a man must resist these pressures. By this many have been led into unwise decisions which were later regretted. 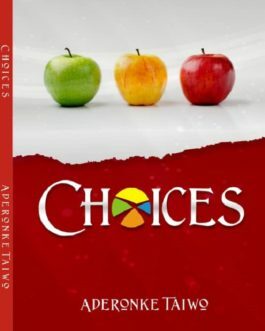 The story of Funmi reflected in the book gives objective and spiritual guidelines for making a wise choice of a marriage partner. Its a story of a life of a young girl and from each episode of all she went through, lessons can be learnt. 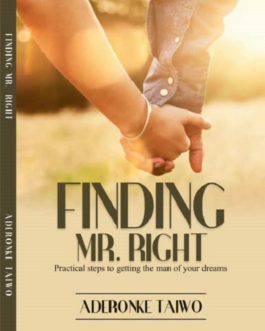 It is a must read for all young ladies. Also Men and Adults should read to get an insight into the feeling of others. 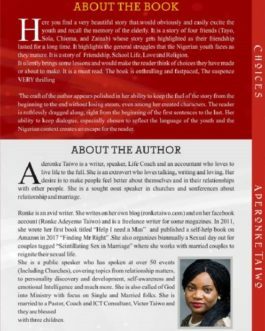 Aderonke Taiwo is a writer, speaker, Life Coach and an accountant who loves to live life to the full. She is an extrovert who loves talking, writing and loving. Her desire is to make people feel better about themselves and in their relationships with other people. 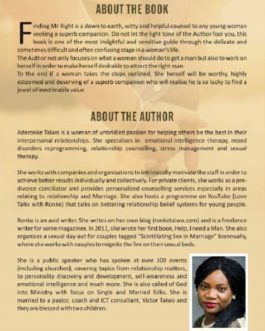 She is a sought out speaker in churches and Conferences about relationship and marriage. 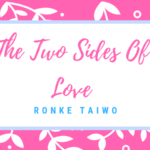 Ronke is an avid writer. She writes on her own blog (ronketaiwo.com) and on her facebook account (Ronke Adeyemo Taiwo) and is a freelance writer for some magazines. 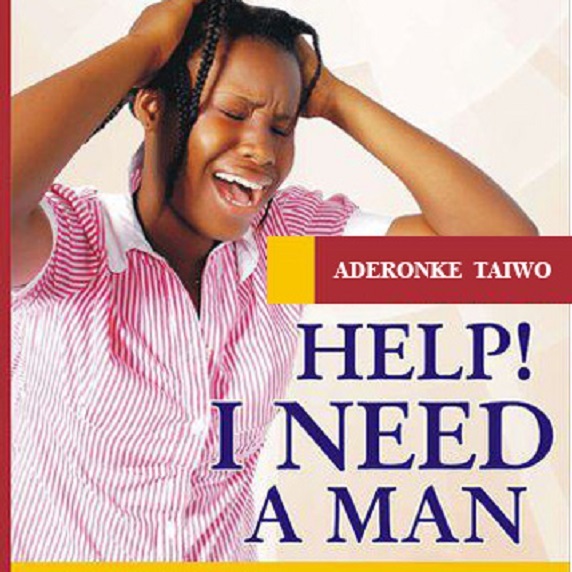 In 2011, she wrote her first book titled “Help I need a Man” is her first book.